Should my baby nap in a light or blacked out room? The answer is, quite simply, they should be in a very, very, very dark room for napping. The reason is that it’s the presence of light that actually suppresses melatonin. Melatonin’s the sleepy hormone, so you actually need melatonin to be going to sleep. So, you don’t want any light in the room at all. The darker you can get it, the absolute better for your baby’s napping. My rule of thumb is if you can read something in front of you, it’s too light. If you ask any shift worker how they sleep during the day, between night shifts, they’re going to tell you that it’s as dark as possible or they use an eye mask. So, short of getting an eye mask for your baby, obviously, it’s going to be better to make the room really dark. 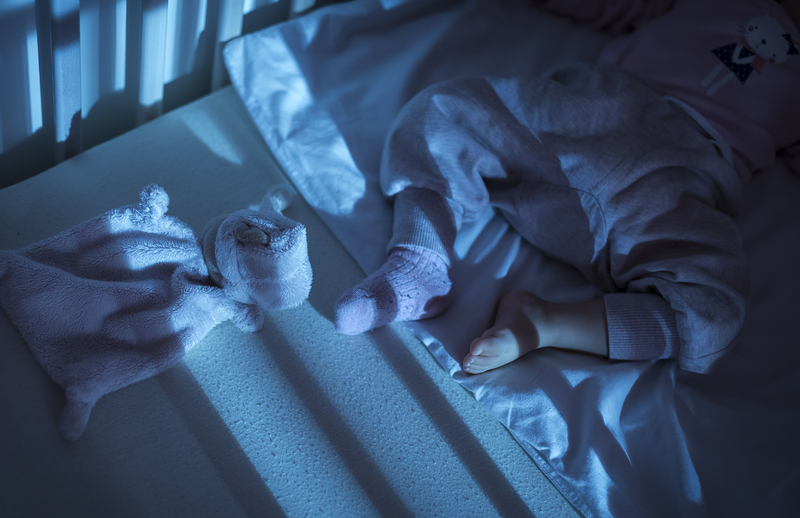 I do hear people saying that other sleep people have told them that their little one should be napping in light, so that their little one learns the difference between night and day. Okay, so absolutely, that would apply if you were having them in dark 24/7, but if your little one is coming out into natural light in between naps and it’s all normal Australian light, then napping in the dark is totally fine. In fact, it’s probably going to help them to link their sleep cycles. So, definitely have your little one napping in as dark a room as possible.